Several months ago, I took a look at Michael Willrich's excellent book, Pox: An American History. Pox examines the social and political climate of the early 20th century United States' smallpox epidemic and many of the anti-vaccination sentiments and governmental responses that made controlling the outbreaks so problematic. Many of the arguments used and fears expressed by our ancestors of that era are strikingly similar to the worries and claims promulgated by today's vocal anti-vaccine activists. But while the appearance is the same, the reasons today's activists came to their position is different. 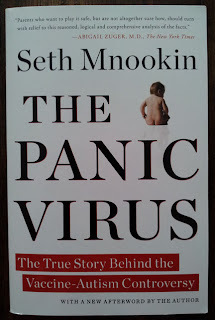 Enter journalist Seth Mnookin, author of the blog The Panic Virus and the book of the same name. 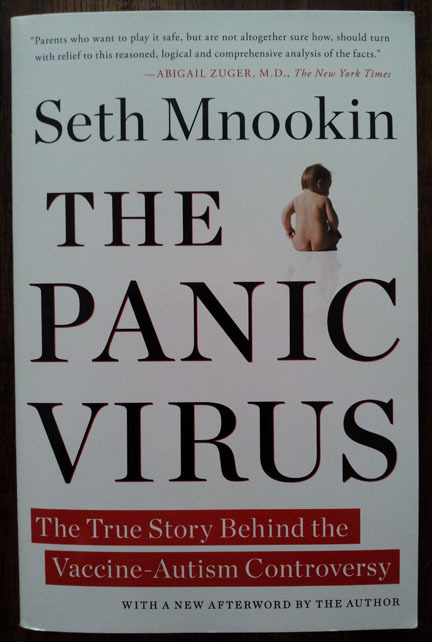 I recently had the pleasure of reading the recently released paperback edition of The Panic Virus: The True Story Behind the Vaccine-Autism Controversy, Mnookin's investigation into the origins of the modern anti-vaccine movement. After providing a useful cast of characters and list of abbreviations used in the book, Mnookin grabs hold of your emotions and takes you into the lives of the people affected by the movement. On a morning much like any other, Dan and Kelly Lacek's son, Matthew, had complained of a sore throat and seemed like he had tired himself out wrestling with his brother. By the time Kelly returned home from work, her son had a fever and his breathing was shallow. The doctors thought it was probably a case of strep throat, but then his fever continued to rise and his condition grew worse. It wasn't until another, older doctor inquired if he'd had his shots the the reality of the situation became clear. Kelly's chiropractor had instilled in her a doubt and fear of vaccines, so Matthew had not received a number of immunizations, including Haemophilus influenzae type b, or Hib, a disease that had been all but eliminated in the U.S., but which, like many others, is slowly returning as people refuse vaccinations. The Lacek's story draws you in. Matthews decline in health to the point where doctors had to put him into a medically induced coma is heart-wrenching. I cannot imagine the pain of watching your child come so near death because of a disease like Hib. Fortunately, Matthew recovered. Mnookin treats the Laceks with compassion and understanding. Throughout the book, whether he discusses the parents of a child infected with a preventable disease or the parents of autistic children, that same compassion comes through. And that is one of the great strengths of this book: even while he may disagree with their message, Mnookin reminds readers that even the most vocal leaders of the anti-vaccine movement are real people, that their struggles stem from very real and understandable emotions. Ultimately, the impression is that many of them are victims misled by their own and others' biases and mistakes. That's not to say that the message of anti-vaccination groups gets a free pass. The Panic Virus soundly condemns the misinformation and unethical actions of proponents of the "vaccines cause autism" myth. Through meticulous attention to detail and extensive research (the book contains 62 pages of notes and a 39-page bibliography), Mnookin shows the origins of many of the claims made against vaccines and why those claims are false. Some are simply the result of the manner in which humans think and how we trick ourselves, while others are the result of deliberate fraud. Mnookin's greatest criticism, though, is not for individuals like Andrew Wakefield or Mark and David Geier, who he says are easy targets, but rather the media. Time after time, the media has given a free platform to those who would spread misinformation. Everyone from Oprah Winfrey and Larry King to typically less naive personalities like Tim Russert have credulously given support to anti-vaccine activists, taking them at their word without challenge and often casting scientists in the role of heartless, callous villains in the struggle to understand autism. It is the media, in Mnookin's narrative, that deserve the most blame, and he makes a very compelling argument. Would the fringe, myth-based ideas of the anti-vaccine movement have such traction as they do today if they had not received such ready support from various media? I only have a couple criticisms. While he mentions the Simpsonwood meetings (which are brought up quite often by anti-vaccine activists), he does not delve too deeply into the arguments anti-vaxers use about the meetings beyond Robert F. Kennedy Jr.'s misquoting of the transcript. Since anti-vaccine activists view the meeting as evidence of some vast conspiracy, it may have been interesting to see greater detail of how those other than RFK Jr. use Simpsonwood in their arguments. I also have to bring up one problem with Mnookin's characterization of the recent pertussis outbreaks in California. The impression one gets from his book is that the greatest single contributor to the outbreaks was vaccine refusal. While this may certainly be true for some pockets of whooping cough outbreaks, the waning of natural- and vaccine-acquired immunity also played a significant role. These are minor quibbles, though, and do not detract from the overall quality of the book. All in all, The Panic Virus is well-written and nicely organized, progressing from an early history of vaccine development's successes and pitfalls to the rise of organized opposition to vaccines, and bookended with stories of parents of children affected by vaccine-preventable diseases. 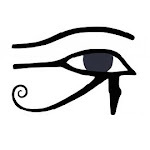 Mnookin provides additional useful resources, like the aforementioned cast of characters and common abbreviations, notes and bibliography, and an index. His writing is engaging and he treats his subjects fairly; this is not a book demonizing parents. You also will not find unabashed, gushing support for everything vaccine. In keeping with his adherence to the truth, Mnookin readily acknowledges and criticizes those in public health and government for their errors. There is a lot to learn from The Panic Virus. In the end, this book provides a very good introduction into the major players in the anti-vaccine movement and serves as a history for how and why such a movement has developed. Thanks Todd. Did you have the edition which also contains the Australian angle? It is quite a read. There were a couple brief mentions of Australia, but not much. Dana McCaffery and the AVN both got passing mention. Meryl Dorey and her actions were not included. Probably the biggest mention of anything in Australia was the Bundaberg tragedy in the 1920s, when a lot of individuals died because of contamination of a multi-dose vial of vaccine, an incident which led to the use of thimerosal. Reasonablehank, how can we tell which edition has the Australian angle?